That time of year is upon us once again. We are looking for Children’s Art submissions to enter into the Annual Sunflower Art Competition. 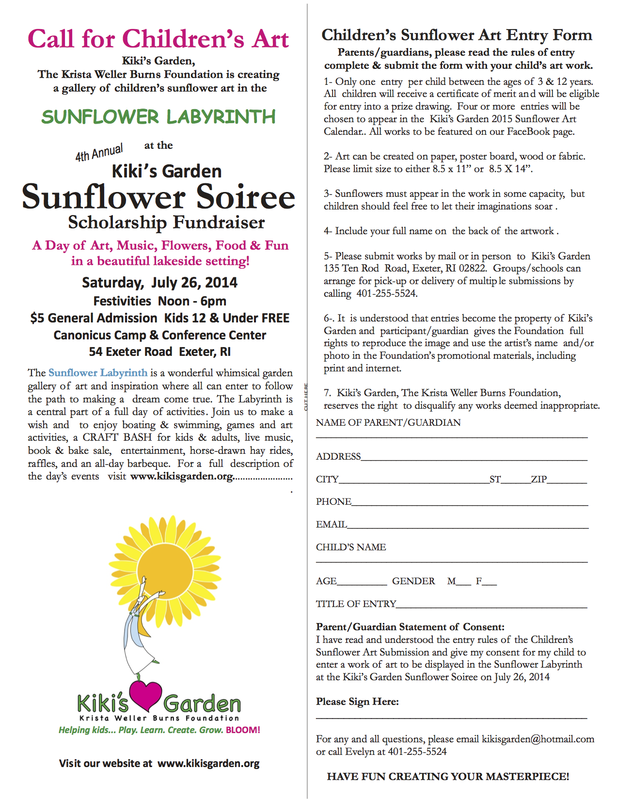 All Children’s Art submitted will be displayed in the Sunflower Labyrinth during the Kiki’s Garden Fundraiser on July 26th. 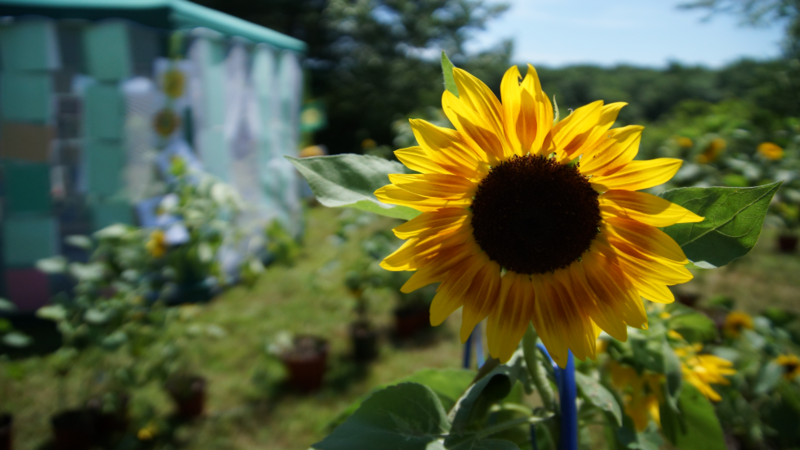 The winner of the art competition will be selected for publication in our 2015 Sunflower Art Calendar. Please click on the form below for competition entry details. *Please print out the form below and submit it along with your entry.